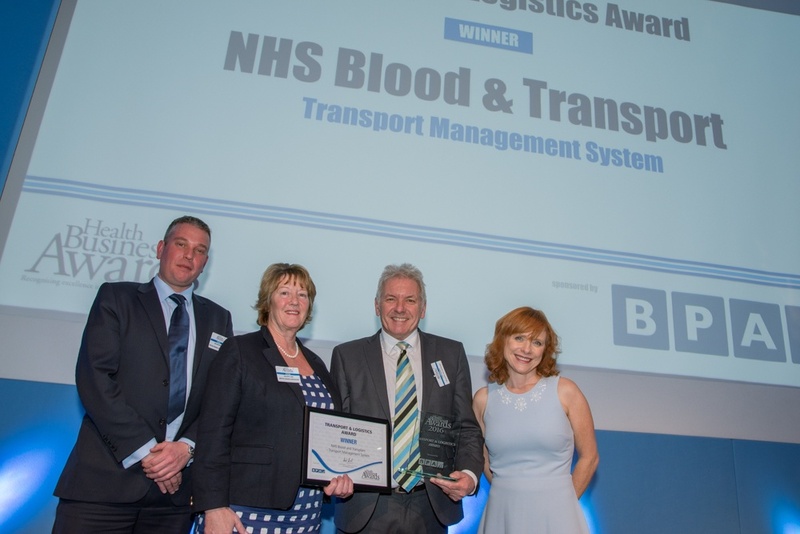 We would like to congratulate NHSBT for winning the Transport and Logistics award for implementing our CALIDUS Transport Management System (TMS), in the recent Health Business Awards held in London. The award was presented by TV Doctor Sarah Jarvis from "The One Show". NHS Blood and Transplant (NHSBT) is a Special Health Authority and key to the operation of the NHS. Providing blood and organ donation services to the NHS means supplying enough safe blood to hospitals in England and providing solid organs and tissues to hospitals across the UK. In 2015 NHSBT began rolling out a new Transport Management System (TMS) supplied by OBS Logistics. The new system is based on CALIDUS TMS, the core application that integrates a number of allied technologies. Interfacing with NHSBT’s existing ERP system, called PULSE, CALIDUS TMS integrates CALIDUS ePOD, CALIDUS Portal, a route optimisation system from DPS International and Telematics and Satnav from TomTom, into a single cohesive system.